Nectar of Life: What is to be expected during a distant Reiki healing session? What is to be expected during a distant Reiki healing session? Reiki is a healing method that utilizes Universal healing energy to bring about physical healing. It also brings to you whatever is needed to improve one’s worldly life or spiritual life. Long term physical ailments which showed no improvements despite a vast array of treatments have vanished after 21 days of healing or sometimes much less. It has helped many of my clients to leave behind suicidal tendencies, improve relationships and bring self confidence to many youngsters in facing life’s challenges. How many days of Reiki healing is required? For sudden or acute problems, seven days of Reiki healing will be sufficient, and its effect can last for at least 21 days. For chronic or long term problems, 21 days of daily healing is advised, the effect of which will last for at least three months. Then you can go for another 21 days session, or better still, learn Reiki and do self healing every day and watch your life taking a totally different direction that is amazing. What are the effects of Reiki healing? Basically Reiki brings about a deep relaxation that can induce good sleep. It dissolves energy blockages and cleanses the body of poisons. It supplies Universal Life Force energy and increases the frequency of vibration of the body that strengthens the immune system, thus enhancing the body’s natural ability to heal itself. It reduces pain and the side effects of drugs. It functions on all levels –physical, mental, emotional, spiritual and social. It gives clarity to solve problems. What should be expected during Reiki healing sessions? Once the Reiki energy reaches your body, it starts its healing work. Whether you feel the energy’s presence during the healing session or not, is dependent upon your sensitivity or your sixth sense. Sensitive individuals will feel various things like heat, cold, vibrations, air movement, numbness or tingling sensation. 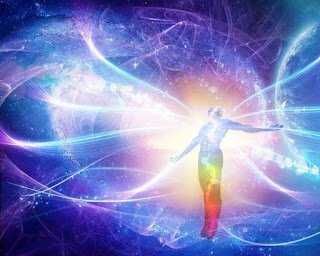 Some clients have even reported that during distant healing sessions they could sense my presence near them, transmitting the energy. One client said she felt vibrational energy entering her body through her feet. If you are not sensitive, you may not have any physical sensations, but just a deep sense of peace. Should I take any precaution during the Healing period? Since Reiki starts eliminating toxins from the body, it is very important to drink lot of water to facilitate this. When you sit to receive the distant healing, be totally open to receive the energy and surrender to its soothing embrace. Should I have faith in Reiki for it to be effective? Faith is not mandatory for Reiki healing to work, since Reiki works on animals, plants and electronic devices. But it is important to see that you are not harbouring strong negative faiths that oppose the healing energy. For example, majority of people believe that diabetes is not curable, and they will never be able to get rid of the problem. But I know people who have overcome it because they could keep an open mind and give chance for Reiki to work. Many times the cause for which Reiki is being given (pain, lack of sleep etc.,) will be eliminated in one or two days. You will start experiencing a peaceful attitude. But in rare cases it may take longer to see the expected results. This is because Reiki works on the root cause, like emotional blockage. It will first dissolve this blockage (which won’t be palpable) and then the elimination of pain or other effect will become apparent. When I sent distant healing for the first time to a close friend way back in 1997, it was to just satisfy the curiosity of my skeptical mind. And wasn’t I surprised at the astonishing results! She was the one who brought her friends for Reiki distant healing, and they in turn brought their friends, thus expanding my client base. I have helped people from around the world heal through distant Reiki. So, yes, distant Reiki healing is equally effective.